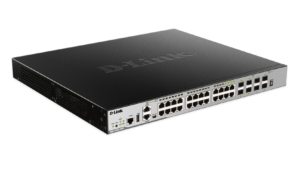 The DGS-3630 Series Layer 3 Stackable Managed Switches are designed for Small Medium Businesses (SMBs), Small Medium Enterprises (SMEs), larger Enterprises, and ISPs. They deliver high performance, flexibility, fault tolerance, and advanced software features for maximum return on investment. 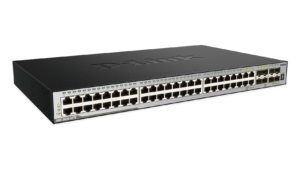 Three models are available – one with 20 10/100/1000 Mbps Gigabit ports, one with 20 100/1000 SFP ports, and one with 44 10/100/1000 Mbps Gigabit ports. 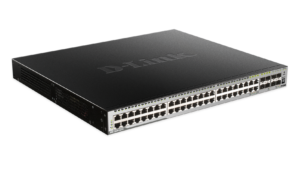 All three models also come with 4 Gigabit Combo (RJ45/SFP) ports, which can operate either as copper or fiber ports. 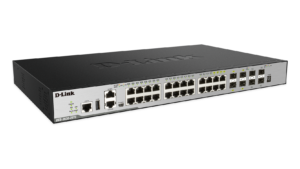 All models also come with 4 10GbE (SFP+) ports, that can be used for stacking or for uplink into the core of the network.